Tired of your average, boring candy? 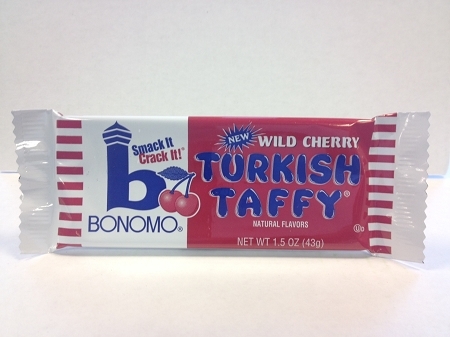 Try Bonomo's Turkish Taffy that you smack, crack and enjoy! Our new Wild Cherry Turkish Taffy will have you forgetting all about any other piece of candy! Think just one bar won't be enough? Try out a twenty-four (24) bar box for long-lasting Bonomo's Turkish Taffy! Take a look at our product pages to see all the flavors we have! Please note: Minimum 5 bars per order.